If you are new to Pilates, this is the easiest way to get started! If you are interested in learning whether Pilates is right for you, select this introductory package. 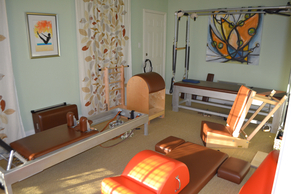 The first session will begin with the reformer. Other sessions will include all of the studio equipment. At the completion of the 4 sessions, you will be able to make an informed decision.This can only be purchased one time.